I have been using this product for just over 2 months now and the differences it has made to my eyes I just can't believe it... this product was recommended by my beautician and it does wonder I have even started to use it on my lips for a more contouring lip... just like the supermodels do I just can't live without this product. 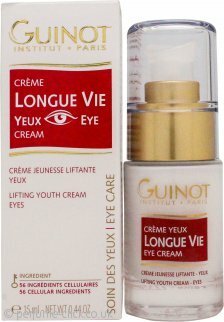 This is a beautiful eye cream, feels very luxurious on the skin. I would recommend! I really love this eye cream. It smells divine and is really light to put on. My only one negative comment is that using it twice a day means that such a tiny bottle only lasts about a month. I'd like to see a bigger one produced.